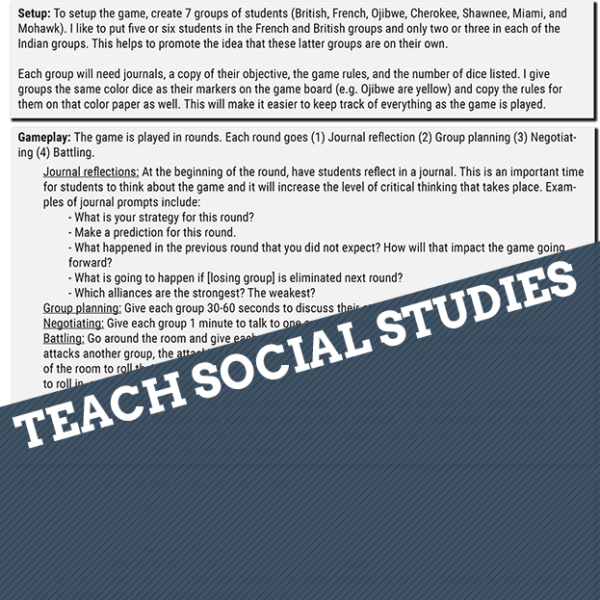 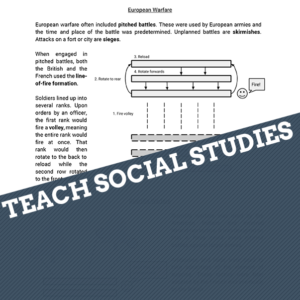 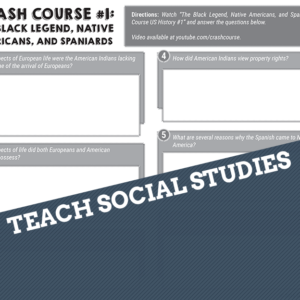 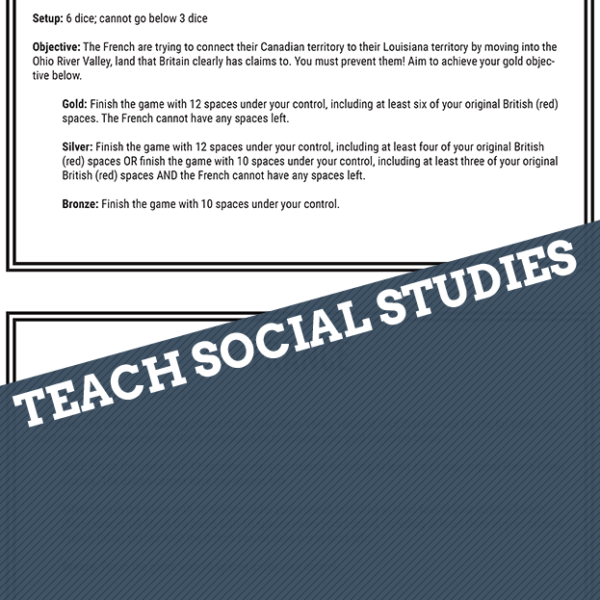 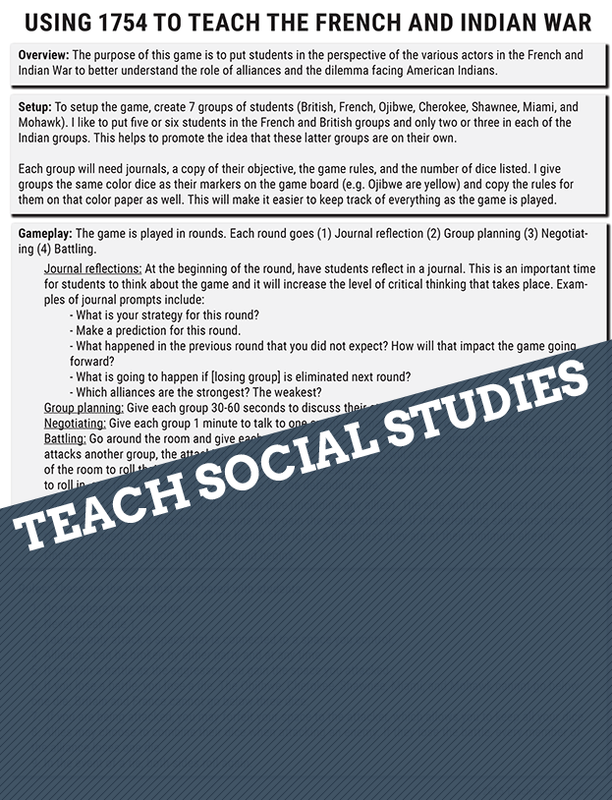 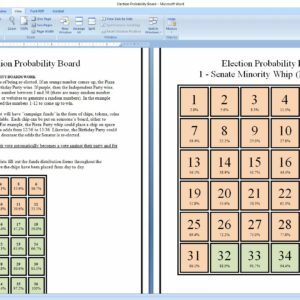 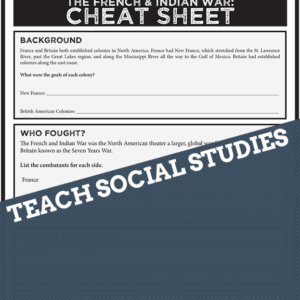 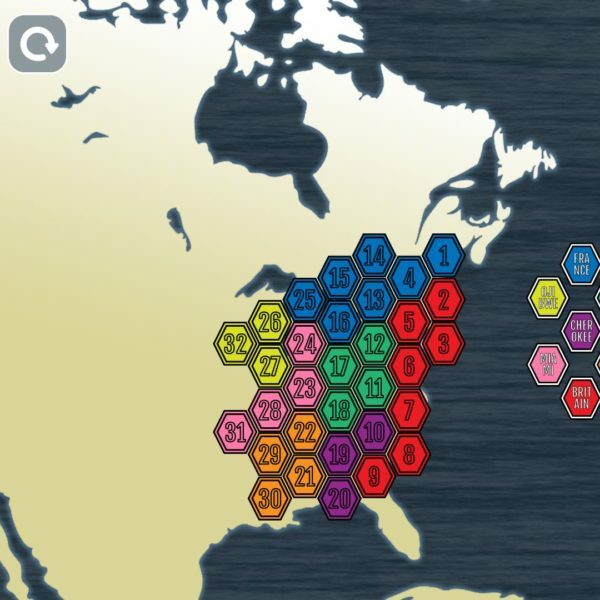 This is a game that I created and modified many times over the years in order to teach students about the difficult situation facing American Indian tribes at the outset of the French and Indian War and the importance of alliances. 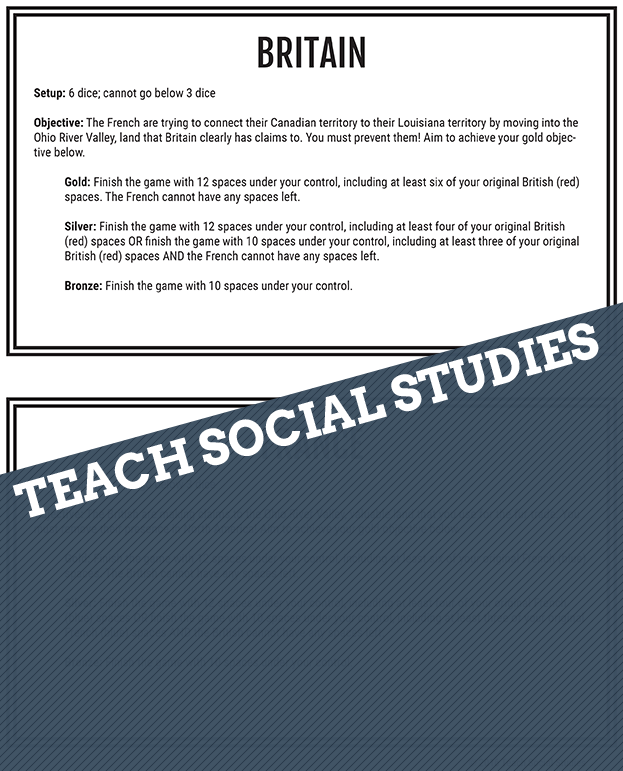 An analysis of the game and the game-based learning techniques used within the lessons are available here. 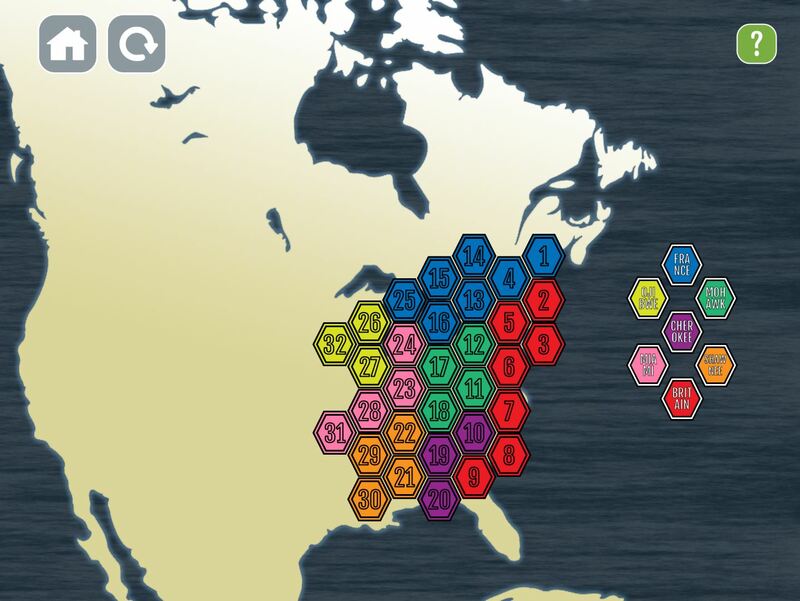 The game board can be accessed here.